Execution of Abdulkareem al-Hawaj, only 16 at time of alleged crime, would be in clear contravention of international law. A young Saudi Arabian Shia man who says he was tortured to “confess” alleged crimes committed when he was aged 16 faces imminent execution, said Amnesty International today. The family of Abdulkareem al-Hawaj, now 21, were yesterday informed that the country’s Supreme Court has upheld a death sentence for his alleged role in anti-government protests. Mr Al-Hawaj was sentenced to death in July last year for a range of offences related to his alleged involvement in anti-government protests in the Shia-majority Eastern Province in 2012, when he was aged 16. His case is just one of several death penalty cases involving Shia Muslim men from the Eastern Province. Al-Hawaj has now exhausted all his appeals and faces execution as soon as the Saudi Arabian king – Salman bin Abdulaziz Al Saud – ratifies his sentence, which could happen at any time. Due to secrecy surrounding the judicial process in Saudi Arabia, it is unclear when the king will ratify the sentence, while families are usually not informed about the ratification process or the scheduled execution of their relatives. Al-Hawaj’s trial was grossly unfair. He had no access to a lawyer during his pre-trial detention and interrogations, and said he was held in solitary confinement for the first five months following his arrest at a security checkpoint in 2012. He also says he was beaten and threatened with the death of his family during interrogations by General Directorate of Investigations officials. Eventually he wrote and signed a “confession” that appears to be the sole basis for his conviction. Al-Hawaj denies participating in any of the acts attributed to him. Amnesty International has recorded a worrying increase in death sentences against political dissidents in Saudi Arabia since 2013, including among the Shia Muslim minority. Amnesty has documented the cases of at least 33 members of Saudi Arabia’s Shia community who are currently facing the death penalty. All were accused of activities deemed a risk to national security. 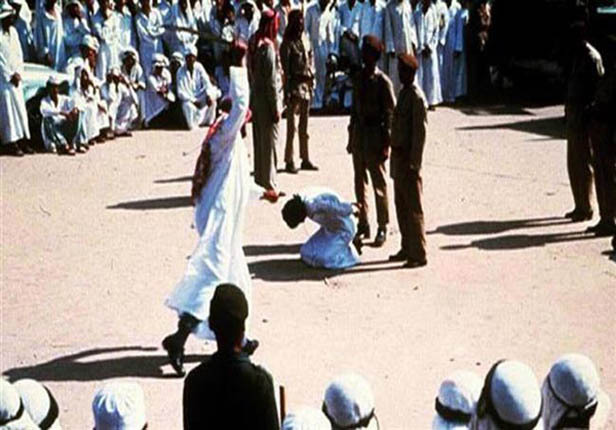 Three others who remain on death row awaiting execution, Ali al-Nimr, Abdullah al-Zaher and Dawood al-Marhoon, were also arrested for alleged offences committed when they were under 18 and have said that they were tortured to make them “confess”.